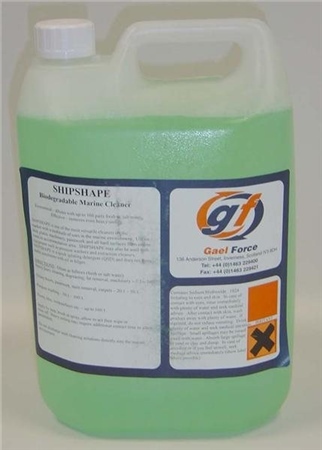 Shipshape Deck/Surface Cleaner - our very own biodegradable Marine Cleaner. Effective for removing heavy soiling, greasy floors, decks & surfaces. Comes in a 5 litre container.